Radiation-induced nausea and vomiting (RINV) is a frequent complication of radiotherapy and still often underappreciated by radiation oncologists. Fractionated RT may involve up to 40 fractions over a 6–8 week period, and prolonged symptoms of nausea and vomiting affect the quality of life. Approximately, 50–80 % of patients undergoing radiotherapy (RT) will experience these symptoms if no appropriate prophylaxis is applied. The incidence and severity are influenced by the specific RT regimen and by patient-specific factors. Patients should receive antiemetic prophylaxis as suggested by the international antiemetic guidelines based upon a risk assessment, taking especially into consideration the planned radiotherapy regimen. In this field the guideline from the Multinational Association of Supportive Care in Cancer (MASCC)/European Society of Clinical Oncology (ESMO) and the American Society of Medical Oncology (ASCO) guidelines are largely endorsed. 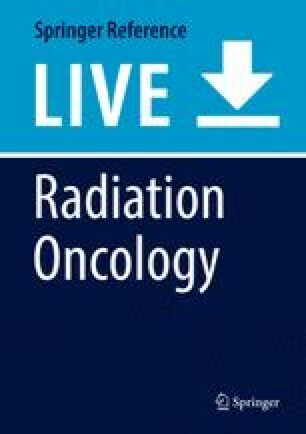 The emetogenicity of radiotherapy regimens and recommendations for the appropriate use of antiemetics including 5-hydroxytryptamine (5-HT3) receptor antagonists, steroids, and neurokinin-1 (NK-1) receptor antagonists will be discussed in regard to the applied radiotherapy or radiochemotherapy regimen.